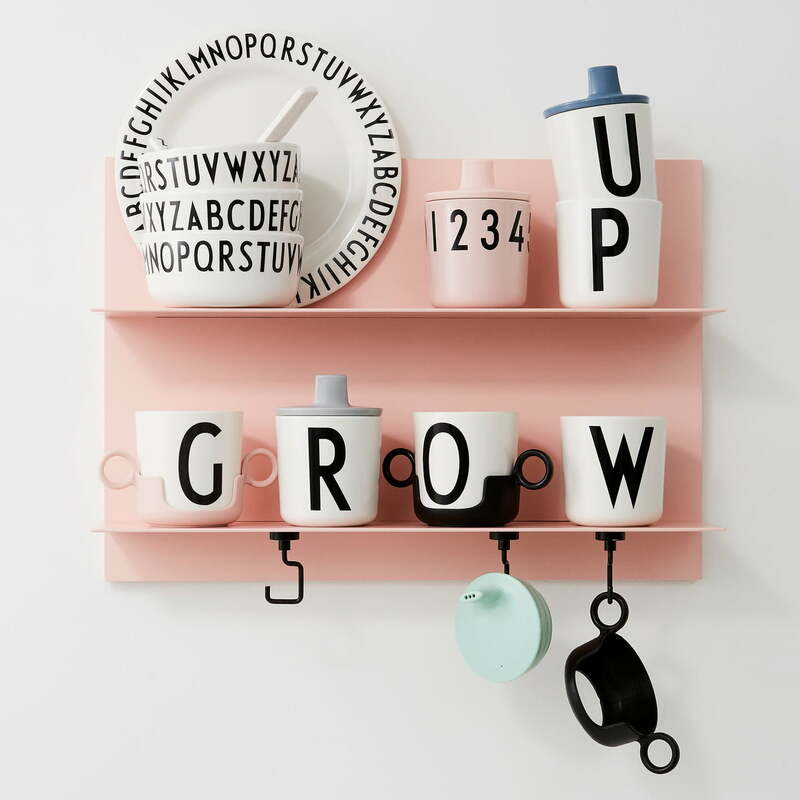 The Grow with Your Cup Set by Design Letters is a great addition to the AJ Melamin cups by Design Letters and consists of a sippy cup attachment and a holder with two handles. 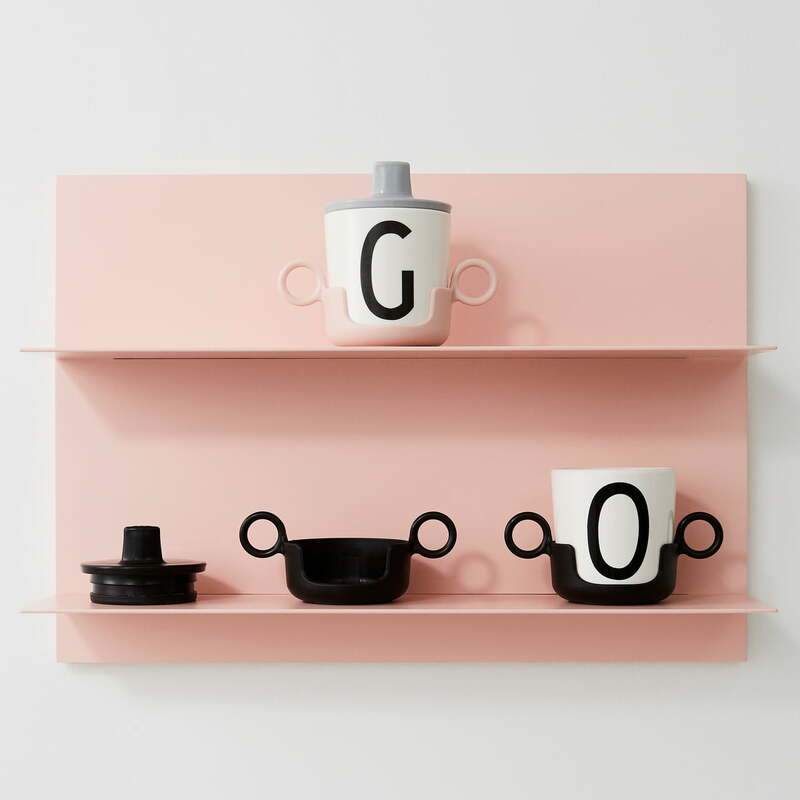 The mugs with the letters from the Arne Jacobsen typography are also suitable for babies and toddlers. The beak attachment and the holder with handle are made of BPA-free polypropylene and silicone and are therefore safe for children. Please note: the cup is not included and needs to be ordered separately. In the stylish gift box there is space for the sippy cup attachment, the holder with handles and the cup itself. So the set becomes a beautiful and personal gift idea for birth or christening and if the child is a little bigger, it can use the mug even without the accessories. Details The AJ melamine cup is not included! 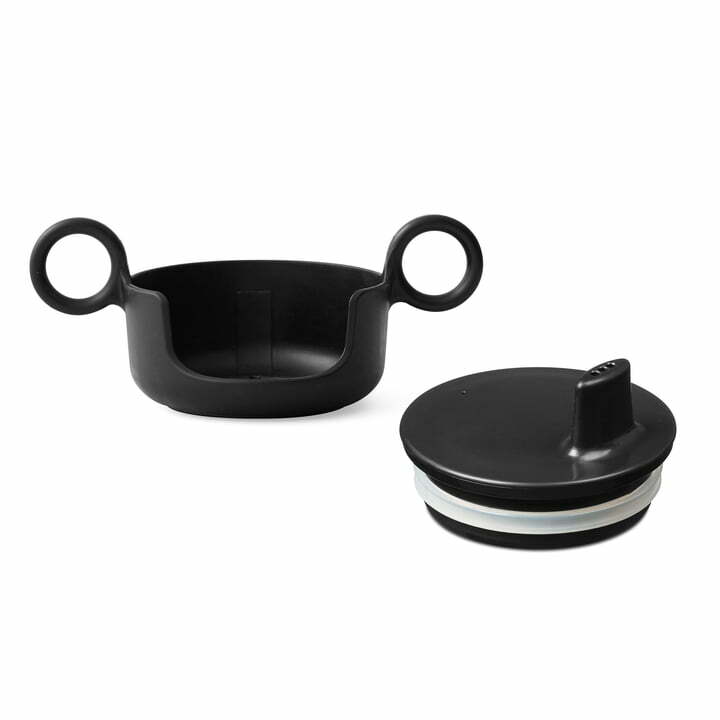 Grow with Your Cup Set by Design Letters in black: The beak attachment and the holder with handle are made of BPA-free polypropylene and silicone and are therefore safe for children. In the stylish gift box there is space for the sippy cup attachment, the holder with handles and the cup itself. So the set becomes a beautiful and personal gift idea for birth or christening and if the child is a little bigger, it can use the mug even without the accessories. 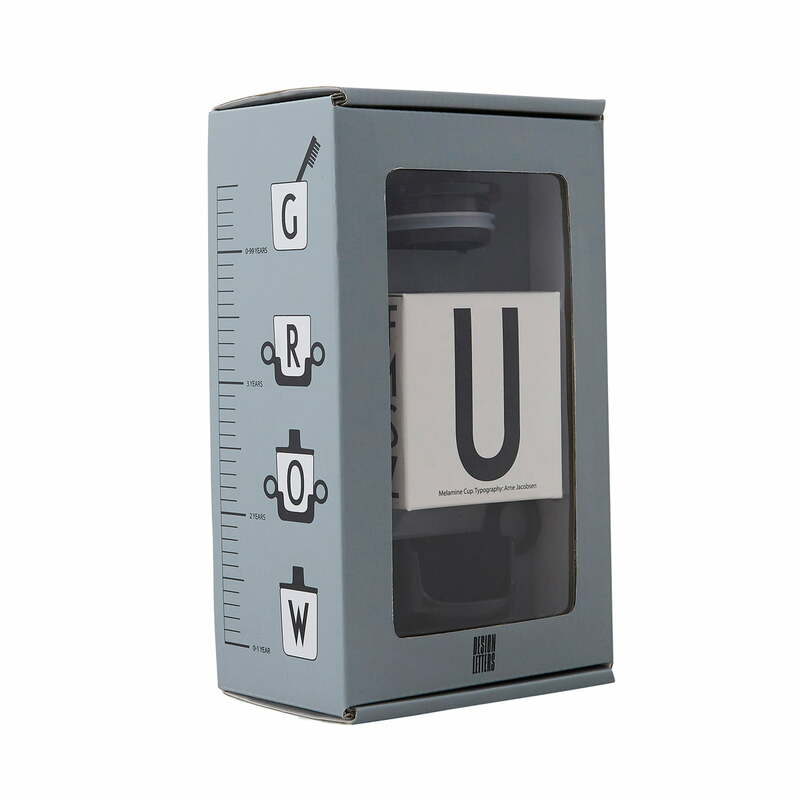 The Grow with Your Cup Set by Design Letters: The beak attachment and the holder with handle are made of BPA-free polypropylene and silicone and are therefore safe for children.